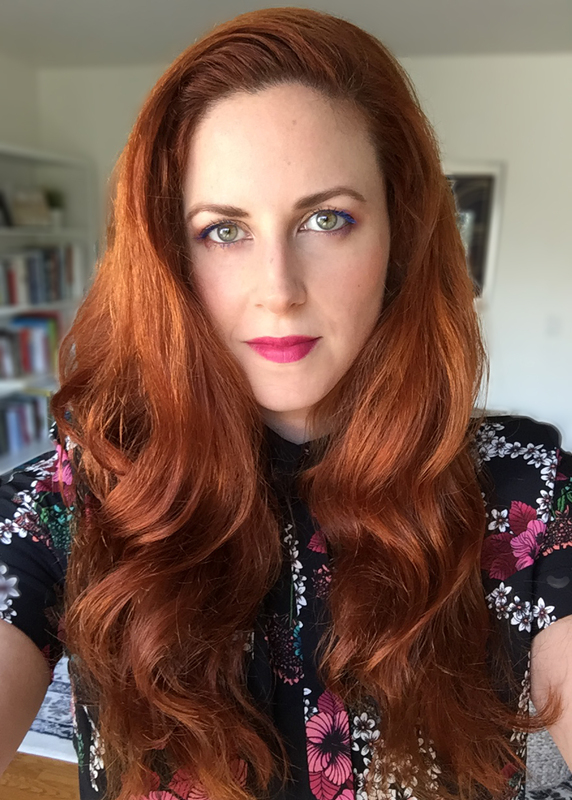 Congratulations to Architecture PhD Candidate and GUH Student Valentina Rozas-Krause received the Mellon/ACLS Dissertation Completion Fellowship for 2019-2020. The fellowship is awarded to 65 doctoral candidates annually and supports one year of research and writing to help advanced graduate students in the humanities and social sciences in their last year of PhD disseration writing. In 2004, when Argentina’s president apologized for the state’s crimes committed during the last military dictatorship (1976-83), he also inaugurated a new memorial. Fixing his words in stone, he expropriated a 42-acre lot from the Navy to transform it into a ‘memory campus.’ Memorials like this one embody more than memory: they are built as symbols of remorse or reparation. This dissertation traces this emerging phenomenon by examining the ‘cult of apology’ through its global manifestation in memorials. The ‘cult of apology’ offers a critical lens to analyze how in the last decades these two previously separate phenomena—the boom of memorials and the rise of apologies—have become intertwined. Examining five representative case studies in Berlin, Buenos Aires, and San Francisco, the dissertation builds an empirical and theoretical understanding on multiple aspects of apology and memorialization, the actors involved in it, the material forms that it takes, and the diverse effects that it produces. 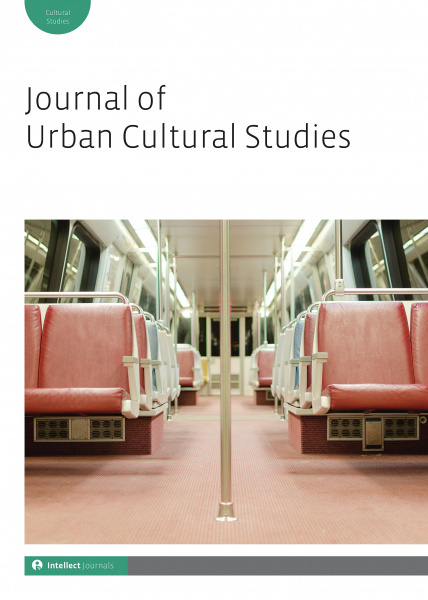 2018 Populism, Art, and the City students, Jeff Garnand, Tania Osorio Harp, Xander Lenc and Connie Zheng, published their papers in the September 2018 issue of the Journal of Urban Cultural Studies. These articles are an extension of their final projects for the Spring 2018 GUH Core Seminar Course co-taught by Jason Luger (City and Regional Planning) and Angela Marino (Theater, Dance & Performance Studies), who co-wrote an introductory article for the issue about the course as interdisciplinary pedagogy for our time. Read the abstract and contributor bios below to get an overview of this special issue! If you would like to find the published issue, you can do so here. Abstract and Introduction from Jason Luger's and Angela Marino's "Populism, art and the city: An interdisciplinary pedagogy for our time"
Populism on the far left and the far right is reshaping the contemporary city and the urban condition. 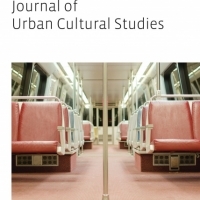 In this special short-form section, we put forward populism, art and the city as a linked theoretical and methodological framework through the UC Berkeley Global Urban Humanities Initiative. Our conversations brought together new research in urban studies, art, architecture, public policy, and performance studies into what many people described as a decidedly populist age. 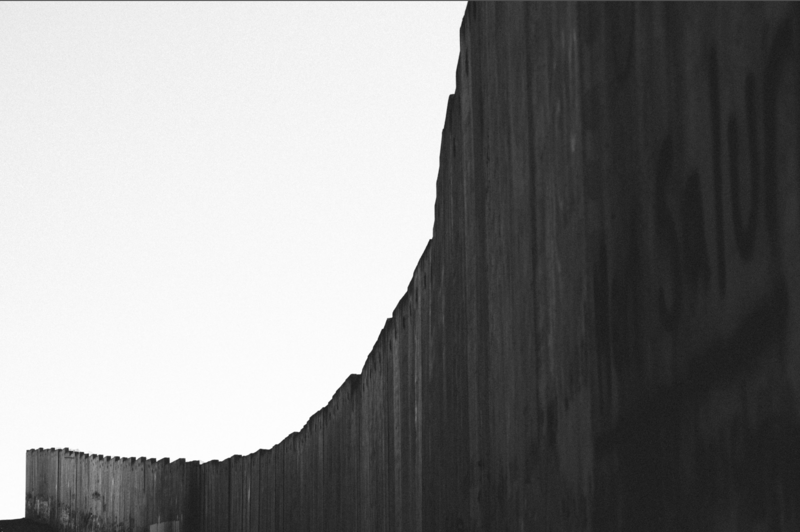 Following a short introduction, we share a collection of four papers from such conversations that offer ‘focus sites’ from San Francisco to Palm Springs, Hong Kong to Mexico City, with a diverse set of theoretical proposals that branch from our discussions and shared readings in art, populism, and the city. Jeff Garnand is a PhD student in the Department of City and Regional Planning studying the spatial aspects of techniques of poverty management and the punitive and more ambivalent approaches of state and private actors toward homelessness and the unhoused community in US cities. He earned a Masters of City Planning from UC Berkeley in 2016, and has a background in activism around homelessness and policing. Xander Lenc is a graduate student pursuing a PhD in Geography, a DE in Science and Technology Studies, and a certificate in the Global Urban Humanities. Their dissertation work asks how labor and disease in California prisons interface with the state's racial landscape. In a parallel project with the Global Urban Humanities Initiative, they draw on queer theory to understand how time and indigeneity are articulated in the deserts of the American Southwest. They are also working on a project on race and the cultural uses of Bigfoot in Northern California. In their spare time, they work with the editorial team of the graduate humanities and social sciences journal Qui Parle and push for housing affordability on the board of the Berkeley Student Cooperative. They are a Graduate Student Fellow with the National Science Foundation and an incoming 2020 Graduate Fellow with the Global Urban Humanities Initiative. Tania Osorio Harp is a graduate student pursuing a MS in Architecture at UC Berkeley where her research and practice focuses on the appropriation of spaces with a special emphasis on the history of Mexico City. In 2012, she co-founded the architectural office APRDELESP as an ongoing research initiative on space and its appropriation processes which functioned through ELHC, a network of subspaces—experimental, physical and/or digital 1:1 models that ran as independent economic systems within the urban framework and worked as public infrastructure for the office. Connie Zheng is an artist and writer currently pursuing her MFA in Art Practice at UC Berkeley. She uses the dialogue between text, drawing, painting and time-based media as a conduit through which to consider the environment of the media and the media of the environment, and these investigations tend to center on the visual culture around environmental crisis and economies of waste and creative reuse. She received her BA in Economics and English from Brown University and worked as a researcher before beginning graduate school. Having emigrated from Egypt to the United States in November of 2005, Menat Allah El Attma is now a third-year undergraduate student studying English Literature at UC Berkeley and a GUH Undergraduate Certificate student. She is a writer, self-taught visual artist, and Muslim woman who is personally invested in a myriad of art forms. To her, art is necessary to meaningfully study history, architecture, religion, science, language, ourselves and each other. The more she practices with these accessible instruments - the pen, brush and camera - the more she understands that the art is in the telling of the story as much as the story itself. 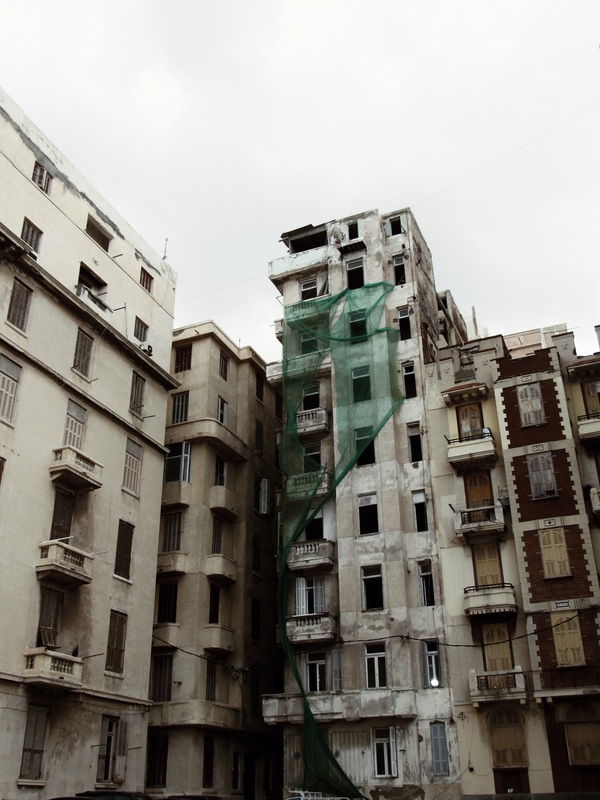 This semester, Menat is teaching an English DeCal course called Peoples & Places: Memory of Cityscapes. A new day begins with a warm citrus tint cast above the city. I can see it clearly with all its lurid delights through the BART windows. Commuting accounts for eighty-minutes of my every day and is a routine I have grown to appreciate. Sometimes, especially early mornings, the commute is quiet and soothing while other times, the shared air becomes intimate and there are just not enough handles for all who are standing. So, you latch onto the shoulder of the co-passenger in front of you, and they onto yours, thus an unanticipated friendship takes chance. As the train glides through the urban landscape, this movement allows me to see cities not as mapped abstract structures but as facilitators of engagement. When someone boards from a station, I ponder where they have been; and once they leave at another, where they are going. Cities are stories, and these stories belong to people. Naturally, I believe we all understand this phenomenon to a degree considering the dense population of urban spaces across the globe today. How people interact with and become participants of a space fascinated me, but I did not arrange these pieces together knowingly until I discovered the Global Urban Humanities (GUH) program. For this academic initiative to come into full actuality and afford students the opportunity to explore such topics in an interdisciplinary manner, it implies all knowledge forms are valuable when evaluating and critiquing urban life. When this type of merit is pronounced boldly, as is done with GUH, it also recognizes the potential of each epistemology in understanding what a city is and means. 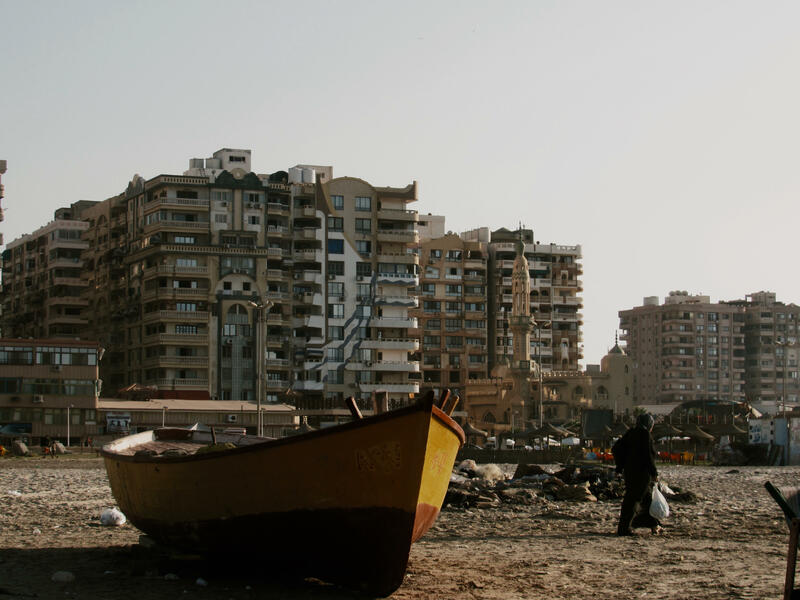 Returning to Egypt during the Summer of 2018, following a 13-year hiatus, I brought my camera to photograph the wonders of its cities and dwellers, its broad structures and fading colors. Often, while there, I asked myself what would happen if the people altogether realized the service their narratives contribute to the city – what new literatures, designs, (re)constructions can be achieved. Near the end, as I was transferring and compiling photos I had taken, everything became clearer. When I sought to understand the meanings people lend to their conditions and experiences in the city, my photographs furnished themselves as evidence, like novels and poems do. This point became an inspiration to the course I teach now, interrogating how memory is (re)produced while merging the visual with the written. Noam Shoked is a 2018-2019 Princeton-Mellon Fellow and was a student in the first GUH traveling course on Los Angeles called No Cruising: Mobile Identities and Urban Life. At Cal, Noam completed his PhD dissertation, which traced the ways in which the design of West Bank settlements became a site of both collaboration and confrontation between architects, settlers, and government officials. At Princeton, Noam will revise his dissertation into a book manuscript and lay the foundations for his next research project on the encounter between modernism urbanism and Bedouin communities in the Middle East. How were you invovled with the Global Urban Humanities Initiative (GUH)? I participated in the No Cruising: Mobile Identities and Urban Life in Los Angeles studio, co-taught by Margaret Crawford and Anne Walsh. I also helped putting together a book that documented the projects that grew out of that studio. Later, I took part in the GUH’s Student Advisory Board, and attended many lectures and events hosted by the GUH. What compelled you to join GUH? I heard a presentation about the LA studio Margaret Crawford gave a few months before the beginning of the semester. Having taken architecture studios in the past, I was intrigued by her idea of a multi-disciplinary studio. It seemed like a great opportunity to do research rather than read other people’s research, and, along the way, to get constant feedback on my work. Admittedly, I was also excited about the opportunity to get to know LA, a city I knew mainly from films. How did your GUH experience contribute to your current research or career? The GUH studio allowed me to experiment with ethnographic research methods I later applied in my dissertation research on West Bank settlements. In addition, I have incorporated some of Margaret and Anne’s pedagogical techniques in my own teaching. I encouraged my students at the CCA to embark on short-term ethnographic projects in San Francisco, and now I am developing a humanities studio I intend to teach next year in Israel. Finally, I was able to publish my studio project in Boom’s special issue on urban humanities. I imagine it was helpful on the academic job market. What is your most memorable GUH experience? On one of our studio’s field trips, I interviewed an undocumented immigrant who happened to use his bicycle to move around the city and collect recyclable material. At one point, I figured he was homeless, but he refused to see himself as such because he owned some property—a bike and a cart—and had his own squatting spot. His self-perception made me rethink my understanding of what it means to be homeless, and, equally important, it made me change my research assumptions concerning the role of biking in the city. What is your favorite global city you have traveled to and why? I now live in Princeton and I take great pleasure in making weekly visits to New York, where I used to live before moving to Berkeley. That being said, as a scholar, I am more intrigued by much smaller places, like West Bank settlements and Bedouin towns in the Negev desert. Although they probably don’t qualify as cities, they are a matter of international concern and interest. I think that there is a lot to learn about the design and evolution of such places. Lecture by Chris Herring for Fall 2018 Colloquium The City and its People. Fall 2018 GUH Colloquium student Mikayla Domingo wrote the following reflection on the November 13th lecture given by Chris Herring, PhD Candidate in Sociology. 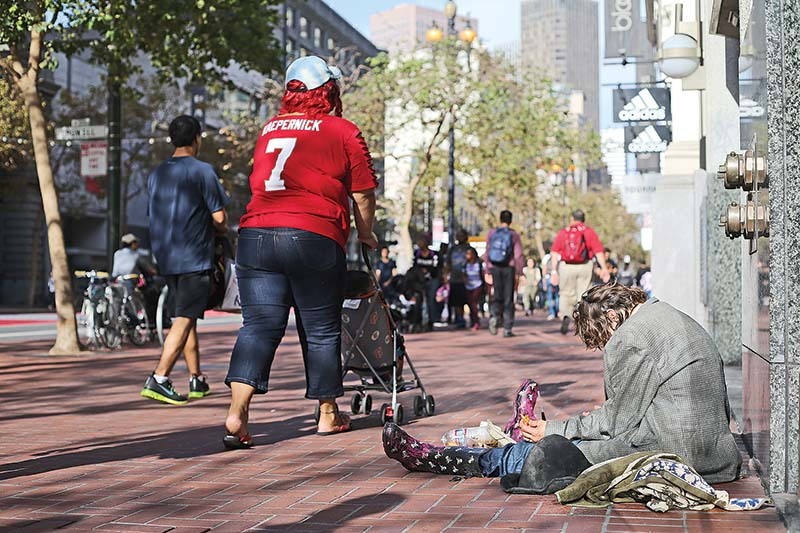 The pervasiveness of the homeless population in San Francisco has gained attention at the international level following the UN’s recent declaration of it being a human rights violation (Graff, 2018). 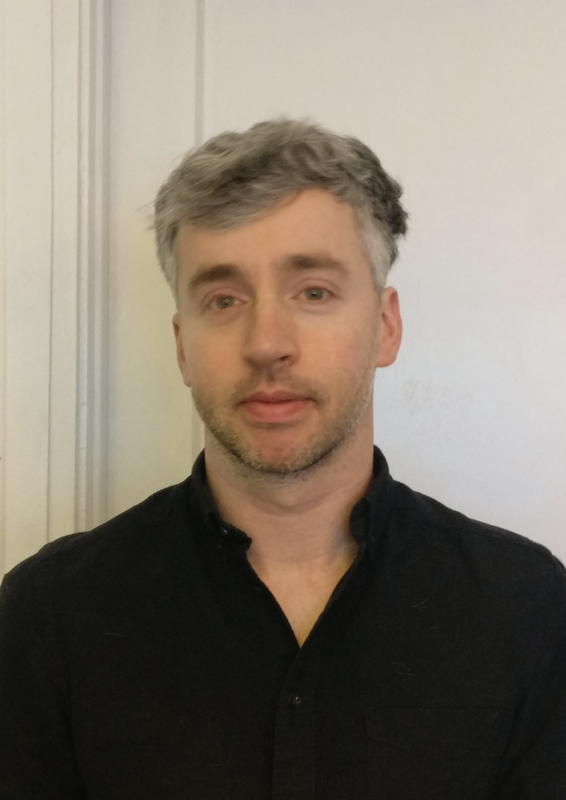 Chris Herring, PhD Candidate in Sociology at UC Berkeley, focuses his lecture around the topic of how criminalizing the homeless essentially perpetuates poverty, while also illuminating the relationship between gentrification, homelessness, and policing. Many grow fixated on the booming economic prosperity of San Francisco and Silicon Valley, regarding the tech industry producing global conglomerates such as Apple, Intel, and Google (just to name a few). However, the glow surrounding this industry renders many unaware of the adverse effects that come with a global city. Homelessness is an unintended byproduct of a globalized city. Herring argues that gentrification results from an influx of new residents who tend to be more educated and financially affluent, resulting in a skyrocketing cost of living and exponential growth of the homeless population. A global city can be defined as “an urban center that enjoys significant competitive advantages and that serves as a hub within a globalized economic system.” (Charnock, 2013) Global cities, such as San Francisco, often involve gentrification, a main focal point of Herring’s lecture. To further explore the impacts of gentrification on the increasing homeless population, Herring raises the question of whether policing of the homeless results from gentrification or citizen demand. In short, it results from both. Upon providing statistics data, Herring explains that the “increased criminalization of the homeless are driven by homeless complaints, resulting from gentrification, new development, and change in demographics of higher educated and wealthier individuals,” which can be attributed to the tech boom. This is a form of aggressive patrol, or rather “anti-homeless laws as a class strategy promulgated by elites and capital interests, aimed at exclusion and incapacitation.” Gentrified areas have increased individuals’ or organizations’ demand for removing the homeless from the streets in front of their buildings or businesses. Subsequently, police officers and sanitation crews play a role in the criminalization of the homeless, whereupon simply being homeless could result in citations for “quality-of-life” violations, such as obstruction or trespassing. Essentially, the condition of being homeless has been deemed a disruption to the public, and has thereby been criminalized. The most common callers to the Department of Public Works to report the presence of a homeless person were made by San Francisco’s residents, resulting in an “indistinguishable wedding between sanitation and police” leading to sanitation crews guiding policing of homeless. However, neither the police nor sanitation crews see their role as criminalizing homelessness. Moreover, gentrification creates citizen demand to uphold the new version of the global city by increasing policing efforts to rid of the homeless. To residents, the unhoused taking shelter on the street impedes with the vision that the new city attempts to put forward, further resulting in the punitive measures taken against the homeless. As gentrification and residents demand are demonstrated to cause criminalization of the homeless, it is additionally important to consider how these policing efforts impact the homeless. Herring draws from a multi-sided ethnography of community-based studies focused primarily on citation and move-along orders. 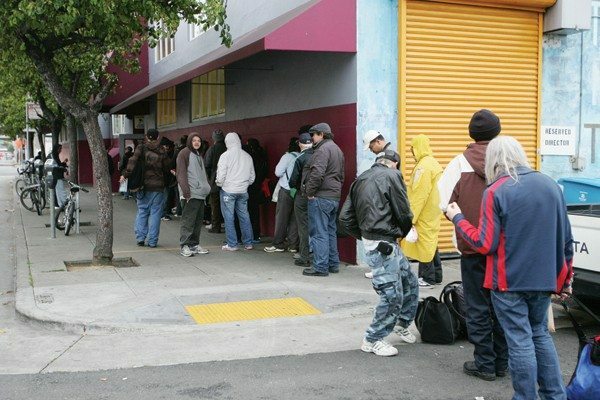 For instance, as Herring demonstrates in one study consisting of 351 participants who experienced homelessness in San Francisco in the past year, 70% of respondents were forced to move from a public space, yet 91% still remained within the public space; in other words, they merely moved down the street to another neighborhood, or simply walked around. This demonstrates that move-along orders are not only inefficient in providing a solution to homelessness, but that it merely continues the criminalization. Additionally, the practice of move-along orders continues the psychological suffering of the unhoused with the central consequence surrounding the concern of having their property destroyed by the city. Herring provides a jarring statistic stating that 41% of the unhoused reported their personal property destroyed by the city, resulting in the loss of medicine for HIV, family mementos, and often everything they formerly owned. Treating poverty as a criminal or medical condition allows for such pervasive penalties, or policing interactions that fall short of arrest. However, there are suggestions for improvement surrounding policy implications for dealing with the unhoused. Alternatives to arrests are not enough for ending practices that criminalize the homeless; Herring argues that the critique of criminalization should be embedded with a critique of inadequate welfare in policy dealing with homelessness at the legal, legislative, and bureaucratic levels. As a political science major who focuses on the operations of public policy within American politics, the implications surrounding Herring’s lecture are essential to understanding how and why solutions must be implemented at the legal, legislative, and bureaucratic level. At the legal level, understanding that the conditions of homelessness ultimately violate the 8th amendment are grounds for a lawsuit that could set precedence in changing the way that homelessness is perceived as well as approaching solutions. However, reform at the bureaucratic level would seemingly evoke the most systemic change by extending the opportunity to enact solutions beyond the roles of politicians and policymakers, and into the hands of outside agencies that aren't incentivized by gaining votes for re-election, or by financial incentives. Graff, Amy. “United Nations Report: SF Homeless Problem Is 'Violation of Human Rights'.” San Francisco Chronicle, 5 Nov. 2018. Accessed at www.sfchronicle.com/bayarea/article/rapporteur-United-Nations-San-Francisco-homeless-13351509.php. Note: all other quoted text are from lecturer Chris Herring on November 13, 2018 at the Fall 2018 Global Urban Humanities Colloquium. About the writer: Connie Zheng is an artist and writer currently pursuing her MFA in Art Practice at UC Berkeley. She uses the dialogue between text, drawing, painting and time-based media as a conduit through which to consider the environment of the media and the media of the environment, and these investigations tend to center on the visual culture around environmental crisis and economies of waste and creative reuse. She received her BA in Economics and English from Brown University and worked as a researcher before beginning graduate school. Here, she writes about her current practice and research on cardboard is influenced by the GUH course, Populism, Art and the City. We are surrounded by cardboard everywhere in the Bay Area: in our recycling bins, on our doorsteps, and scattered on the street. We use cardboard to protect and transport the items that often make up our domestic interiors, whether we are moving between homes or awaiting a shipment that traces its origins overseas. We also see cardboard being repurposed and given new life and context, often by our unhoused neighbors, as signage, shelter and insulation. This material, so evocative of consumption, movement, and creative reuse, became the subject for a speculative research paper that I began while taking the GUH seminar Populism, Art and the City, with Drs. Angela Marino and Jason Luger. I’m grateful that this paper will be published in the Journal of Urban Cultural Studies this upcoming winter, and that the research I did for this piece has informed other writing, video and installation projects that I have been working on this fall. 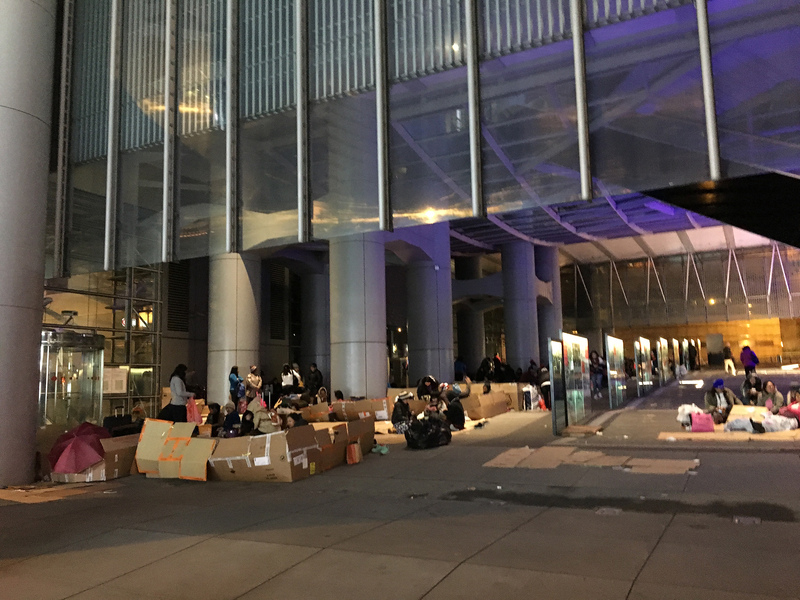 The idea of a home space in relation to cardboard struck me one Sunday afternoon in January of this year, when I was walking through the ground floor of the HSBC headquarters of Hong Kong. There, I saw nearly a hundred Filipina and Indonesian women gathered in space. They were Filipina and Indonesian domestic workers assembled in one of many informal gathering sites that bloom and are then disassembled over the course of one day. Sunday was the day they could claim as their sole day off from what would otherwise be a 24/7 workweek in the home of their local or expatriate employers, and I assumed that the ephemerality of this gathering made cardboard a useful material to support its manifestation. When I first encountered one of these gatherings, or assemblies, I found myself struck by an affective response that I later attributed to the sight of cardboard being used to demarcate a new informal space directly on top of an existing codified space. Initially I wondered if the women were homeless, since I am accustomed to the image of the homeless in the Bay Area sitting or sleeping on flattened cardboard. Closer observation negated this possibility. In both cases, however, the cardboard being used as insulation or shelter appeared to be of unknown provenance, occasionally bearing logos that suggested they migrated from a residence or commercial business. Through conversations with Professors Marino and Luger, and my brilliant classmates in the Art, Populism and the City seminar, I realized that the ubiquitous, utilitarian, endlessly repurposable material of cardboard could possess not only a particular symbolic force that is linked to class inequality and consumption, but that it may also contain the ability to cross spatial delineations and produce a new kind of public space. This inquiry led me to the following research question: how does cardboard circulate between public and private spaces, both physically and ontologically, and what is produced in the moment when it crosses from one semiotic space into another? I began the project by tracing the movement of cardboard through a trans-Pacific circuitry of trade: I made calls to and visited the Port of Oakland, the Berkeley Recycling Center, the Creative Packaging factory in Hayward, and the International Paper sheet feeder factory in Gilroy. I used walking, sketching, photography, video, and speculative writing as methodologies, in addition to more “traditional” methods of research. The multidisciplinary approach that our instructors encouraged the class to take were crucial for the formulation of this paper and its evolution into more visually-oriented works as part of my artistic practice. In fact, much of the research that I did for this paper regarding the circulation of waste commodities made its way into an oil painting, an installation that I am currently building, a visual essay that was just published on SFMOMA’s Open Space platform (“Familiar Strangers, Strange Familiars”), and the footage that I shot when visiting the Berkeley Recycling Center for this paper found its way into a video piece, Notes on Fluorescence, which showed in the Trace Evidence exhibition sponsored by GUH earlier this year. Fall 2018 GUH Colloquium student Edmundo Fitzgerald wrote the following reflection on the November 13th lecture given by Chris Herring, PhD Candidate in Sociology. Chris Herring’s work looks at how cities attempt to mitigate homelessness. His presentation shared the results of his research as a PHD Candidate at UC Berkeley. He first showed us a brief history of cities incorporating anti-homeless legislation, the legacy of which being that 50% of all cities have at least one anti-homeless ordinance while some have as many as nine. It has been speculated that this is a type of class warfare but Mr. Herring postulates that the inhumane treatment of homeless people reflects the decline of a social democratic welfare state and the rise of the use of a penal state to try to mitigate the problem. Mr. Herring’s presentation is a reflection on his substantial field work, which includes twenty-three ride-alongs with SFPD, eleven community police meetings, eight city hall hearings, more than one hundred police on homeless person observations, and more than one hundred coalition outreaches with homeless people. Seattle is like San Francisco in some demographics. It too has had a tech boom, which means a steady crop of salaried, college educated millennials will continue to arrive to compete for a finite amount of housing. Young, smiling faces with satchels full of cash and career mobility have brought out the worst in San Franciscan landlords, using legal apparatuses such as the Ellis Act to evict tenants and develop their property. The most important difference between San Francisco and Seattle is the climate. While ending up homeless in San Francisco can be uncomfortable, being homeless in Seattle can be deadly. It would be interesting to see if homelessness is regarded more seriously in colder climates, using Mr. Herring’smmings scale of welfare state against therapeutic penal populism. Are cities addressing the homeless problem with outreach, substance abuse treatment, and mental health services? Or are they kicking the can down the block by having law enforcement and public works employees criminalize the homeless by writing citations that they can’t pay or forcefully throwing away their few worldly possessions? The passing of Proposition C in San Francisco might represent a concept of the Homeless Industrial complex. While San Francisco has been lax in combating Ellis Act evictions, ravenous property developers have flooded the market with luxury lofts; many of which stay vacant. The tech sector cannot be blamed for homelessness, nor should we blame the hordes of educated young people flocking to the Bay Area. The generators of so much revenue are themselves creating a new bureaucracy with the extra 1% tax levied upon them as written in Prop C—all of which to combat a problem that was exacerbated by San Francisco property owners. This large sum of money has to go somewhere, and will most likely be a boon to many city contractors as they build navigation centers, clinics, and public bathrooms. Proposition C is a neoliberal solution to a neoliberal problem. Of the great amount of revenue for city contractors that San Francisco’s homeless population are about to generate, how much of it will actually benefit them? This will be the important metric moving forward with regards to San Francisco, Seattle, or any city in the world. If two years down road, the homeless population of San Francisco significantly drops, I too could declare that homelessness and the state are not entwined. Fall 2018 GUH Colloquium student WeiJie Zhu wrote the following reflection on the November 13th lecture given by Chris Herring, PhD Candidate in Sociology. Chris Herring’s lecture focused on discussing the relationship between the police and the homeless community in San Francisco. He began by explaining that there has been a history of discriminatory laws and ordinances that have negatively affected homeless people. An example is the Ugly Law (revised in 1970s), which makes it illegal for “unsightly or disgusting” people to appear in public. Another one is the Vagrancy Law (revised in 1961), which criminalize a person’s housing status rather than behavior. The number of anti-homeless laws also show an increasing trend over the decades. According to Herring, in 1980s, only 74 anti-homeless laws were enacted in the state. The number of such laws has now increased to 97. 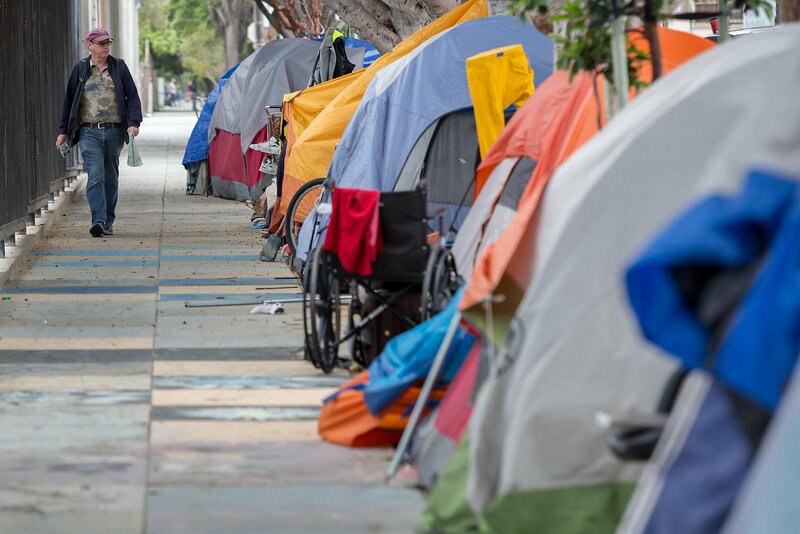 Today, an average city in California has around 10 anti-homeless laws. What also increased with the number of laws is the number of complaints and police calls regarding the homeless population. From 2013-2018 alone, there has been 46% increase in 911 calls and 700% increase in 311 calls regarding homeless people. From these trends, legal control has not been effective in resolving the homeless issue. There is still a significant homeless population in San Francisco, causing much social instability and civil unrest. Herring believes that the change from aggressive policing to therapeutic policing is a big step forward in resolving the homeless issue. The difference between the two is that aggressive policing adopts “rabble management” and relies heavily on police command. Homeless people are often arrested and punished. In contrast, therapeutic policing adopts “recovery management” that treats the homeless people with discretion. Their rights are relatively more respected and secured. In my opinion, the police have very limited power and influence in the homeless issue. The community generally relies too much on police, which only have enough power to temporarily relieve problems instead of resolving their roots. Very often, the police are caught in between the demands of the residents and the homeless people’s complaints. All they can do is to either send homeless people from one district to another, or temporarily put them in a shelter. Herring describes this as playing a game of whack-a-mole—only tackling problems from the surface, never addressing their roots. The police do not have the resources to provide more shelter space or service for mental health. Nor can they create employment opportunities and get them back into work. I believe that the homeless issue is a complex social phenomenon that involves many different parties, and the most important players are the policy makers. The homeless issue is resulted from many factors—elevated housing costs, social inequality, poverty, legalization of soft drugs and even the A.B 109 Realignment Bill passed in 2011 to reduce of prison population. Many of these social problems can only be effectively tackled with good policies. For instance, to address high housing prices, policy makers can enact laws that cap the soaring prices, or build more affordable public housing. After all, police forces, non-profit organizations and social workers are all but supportive forces that enhance the effect of good policies. These parties play important roles in executing policies and establishing effective communication between the homeless and public. However, without effective policies, they have very limited power and influence. Lecture by Ahmad Diab for Fall 2018 Colloquium The City and its People. Fall 2018 GUH Colloquium student Saeed Nassef wrote the following reflection on the October 16th lecture given by Ahmad Diab, Assistant Professor of Near Eastern Studies. Ahmad Diab posed the idea of an impossible exile by investigating the works and lives of two of the most famous Palestinian artists and poets: Mahmoud Darwish and Jabra Ibrahim Jabra. Both of these authors were born in Palestine at the time of the British mandate. Darwish stayed in Palestine during the Israeli occupation and left in 1970 to study in the USSR. After one year of study, he moved to Egypt and then Lebanon, where he joined the Palestinian liberation organization and was banned from returning to his homeland. Jabra left to study at Cambridge and Harvard, returning to Baghdad instead of his hometown of Bethlehem. Throughout his talk, Diab showcased the work of both of these authors to discuss the effect of exile on these particular two people and their views of identity and statehood. 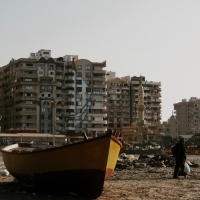 As we were taken on a tour through the political landscape of the Middle East, Darwish writes “Beirut how much I love you, Beirut how much I do not like you.” Darwish found himself working with the PLO (Palestinian Liberation Authority) in Beirut, of which he was a longtime member and critic. Diab stated that if 1948 was the epidemiological death of Palestinians in Lebanon, it was the rebirth of Beirut’s political and cultural sphere with the influx of Palestinian political and cultural exiles. Diab went on to talk about Darwish’s first visit to Egypt: “The most remarkable thing for me [Darwish] was that for the first time I could see an entire city speaking in Arabic… for the first time I found myself in an all Arab country.” Darwish was struck with euphoria, he was raised in occupied Palestine, where speaking Arabic was taboo. It is ironic that a poet writing in the Arabic language had not experienced living in an Arab country until the middle of his life. Yet, the euphoria that he experienced did not last. Darwish was quickly made to feel as an outsider in the country as he was expelled with only a suitcase in his hands. This happened to him again and again. This was a difficult moment for him as it pushed him to come to grips with what being an Arab is; what it means to be a Palestinian. Through the recounts of Darwish’s work, we see that he eventually understands the the definition of being Arab is not universal. The standards are different. While Palestinians might consider themselves Arab in Palestine, Egyptians might not consider them Arab in Egypt. Darwish self-characterizes as the archetypal Palestinian. Ahmad compares Darwish’s experience with that of Jabra, another prominent Palestinian writer. After the Nakbah, Jabra found himself in Baghdad where he produced a majority of his work. In one of his most notable works Jabra criticizes the term “refugee.” He says, “I was not seeking refuge, we were offering whatever talent or knowledge we had, in return for a living.” He says that Palestinians in exile are wandering together, using their own means, to secure survival. These experiences resonated with me as part of the SWANA diaspora. My mother is Iranian, my father Egyptian. 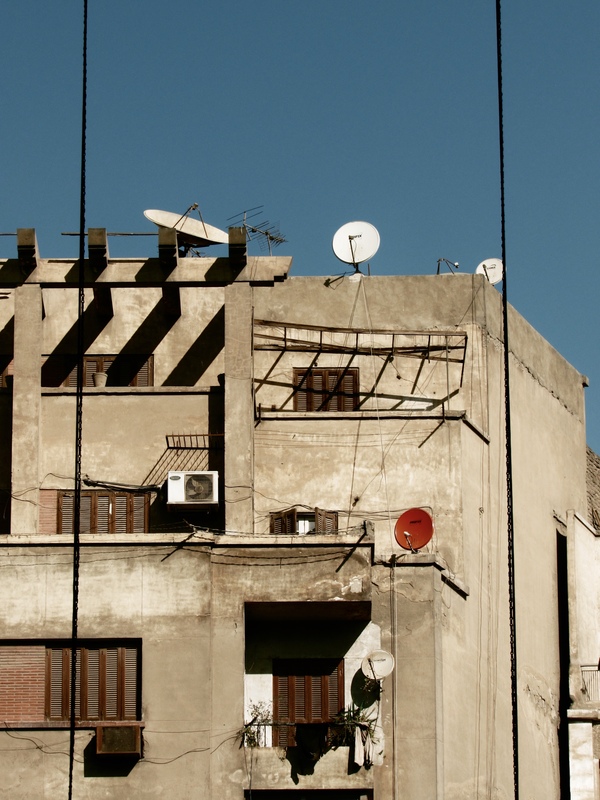 I was raised speaking both Farsi and Arabic and when I am on the streets of Cairo and Tehran, I feel at home. I feel a sense of warmth and euphoria that is unknown to me in the US. But in Egypt or Iran, when I try to express my identity as an Egyptian or Iranian many times people don’t recognize it. And when I am in the US I am not considered an American. This allowed me to sympathize with Darwish and Jabra, but I recognize that my isolation is very different than that of a palestinian in exile as they have been expelled without any hopes for repatriation. Overall, Diab investigated the effects of the Nakbah on the Palestinian people – how the Palestinian perception of themselves changed, how people’s perceptions of Palestinians have changed. Through poetry and art, we understood how dislocation affects people, their desires, investments, and relationships to space on the micro level. Lecture by Chiyuma Elliott for Fall 2018 Colloquium The City and its People. Fall 2018 GUH Colloquium student Sunya Berkelman-Rosado wrote the following reflection on the October 23rd lecture given by Chiyuma Elliott, Assistant Professor of African American Studies. Chiyuma Elliott, Assistant Professor of African American Studies tells us that great pieces of art teach us how to analyze them. The analysis of such art, in turn, is an important tool for social analysis. In her lecture, ‘My Bad Attitude Toward the Pastoral': The Country and the City in the Poetry of C.S. Giscombe, Elliot explores dimensions of race, place and belonging through C.S. Giscombe’s book length poem Here. Elliott demonstrates that the reading of poetics is a necessity for social analysis. She shows us the importance of metaphor (when things are not present in a literal way but rather in nuance) in illuminating the blurring of time/space and urban/rural geography. Elliott notes that in Giscombe’s text the specter of blurring is ever present. Set on the edges of the rural south and the border of New York and Canada Here is a meditation on the blurring of borders, place and race. Likewise, the text jumps backwards and forwards in time blurring the past/present/future. Elliott highlights that the text follows a creative and emotional logic rather than a linear one. She tells us this opens up the possibility of representing the forging of selfhood and identity in a dynamic, layered, diachronic way. Elliott observes that the feelings of confusion and being unsettled lace through the text. The unpredictability of the poem belies the complexity and tension of experience where racially charged moments blend with nostalgia on the page. In terms of geography and the blurring of place, Elliott observes places “where the rural sometimes springs up the heart of the city.” This nonlinear and hybridized representation of place and experience is perhaps disorienting. It is perhaps illuminating. 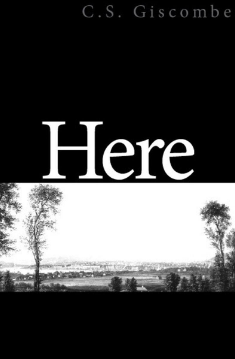 Through an analysis of the poetics of Here, Elliott draws our attention to a racially inflected geography. One in which place and historical memory fuse and intertwine. Where racialized place names, the shifting edges of neighborhoods and locations as hybrids of other locations take shape. Giscombe’s poem exposes examples of what Elliott terms “an embodied regional hybridity” and complicates the question of belonging and how we know we belong. What can we learn from this analysis of poetics in service of the understanding of regional hybridity and racialized geography? Of the blurring of place, time, and race?